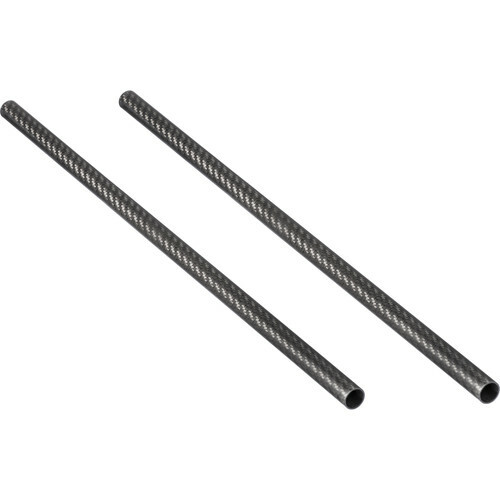 Super-lightweight thanks to the carbon fiber construction, the 18" Axler 15mm Carbon Fiber Rod Set, featuring two rods, nonetheless supports up to 30 lb because of the heavy-duty build quality. The robust design won't bend or dent, so rod clamps, baseplates, and other accessories can be adjusted smoothly along the length. Because of the light weight, the set will more seamlessly integrate into your rig.